“The assertion that Australia has lost another mammal species can be made with considerable confidence,” they wrote in their report to Queensland’s government. And anthropogenic (human-induced) climate change was blamed for the extinction. 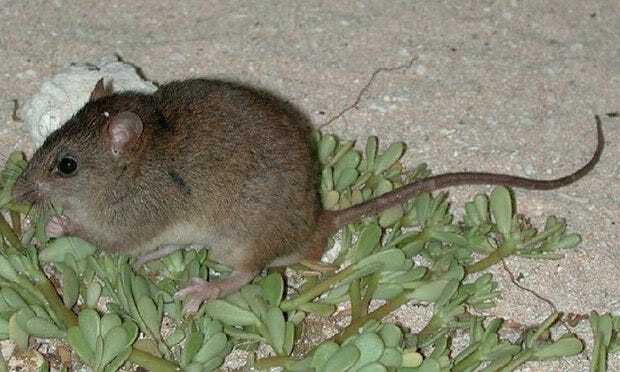 “The key factor responsible for the death of the Bramble Cay melomys is almost certainly high tides and surging seawater, which has travelled inland across the island,” Luke Leung, study co-author and scientist at the University of Queensland told The New York Times. The seawater is believed to have destroyed the creature’s small habitat. In March of 2014, the livable surface of the island had shrunk to its smallest point ever and refuge sites used by the critters, such as rock caves and crevices, had started to disappear. This also led to problems with food. While its diet was poorly researched, melomys were believed to be mostly vegetarian and they had to compete for food with nesting seabirds and turtles. Many believe this extinction is likely just the tip of the iceberg. Climate change is putting enormous strains on species all across the globe, with a 2015 report finding that one sixth of the planet’s species could face extinction as a result.